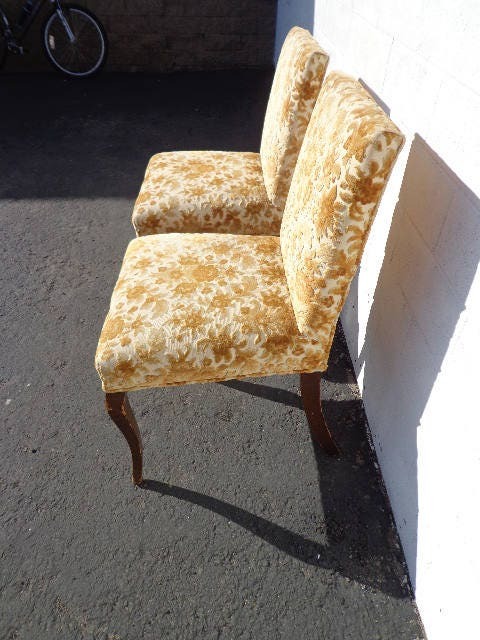 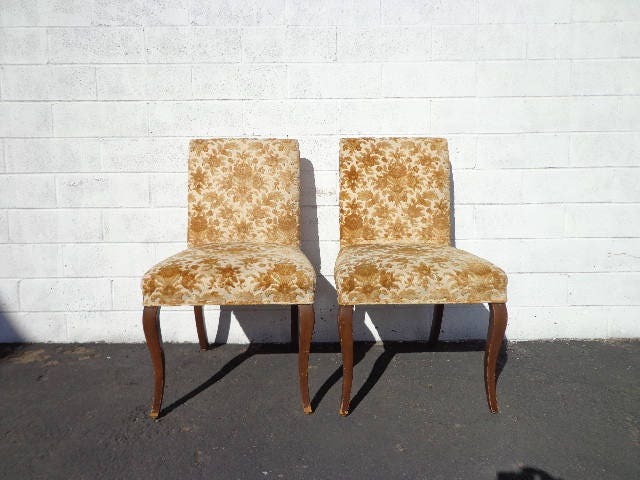 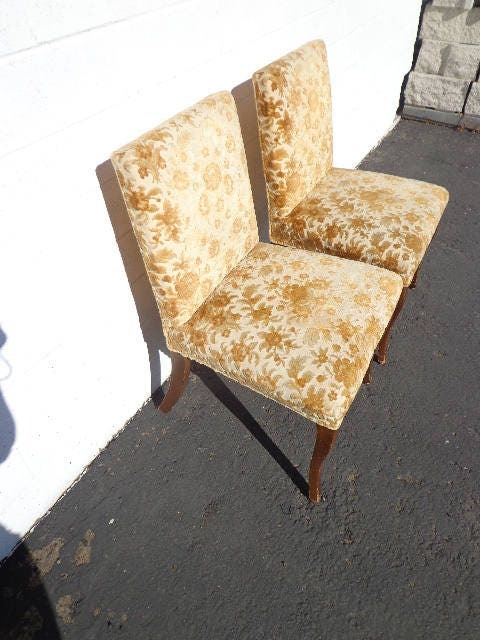 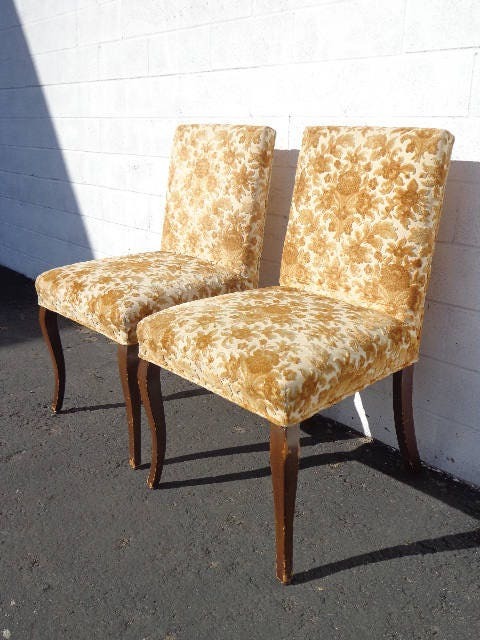 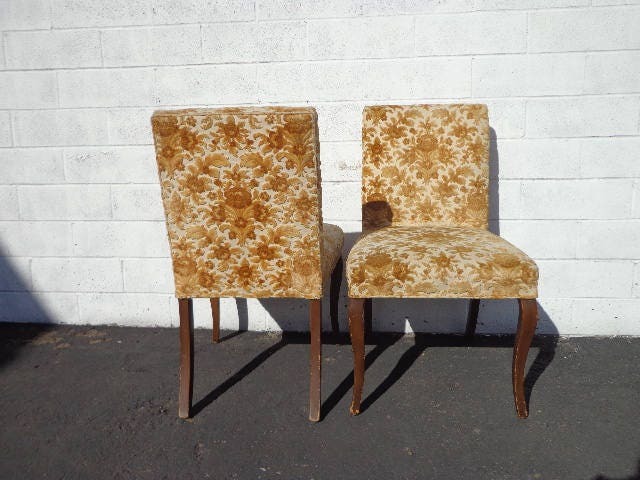 Absolutely beautiful pair of vintage chairs with deep brown colored wood frames and upholstered cushions. 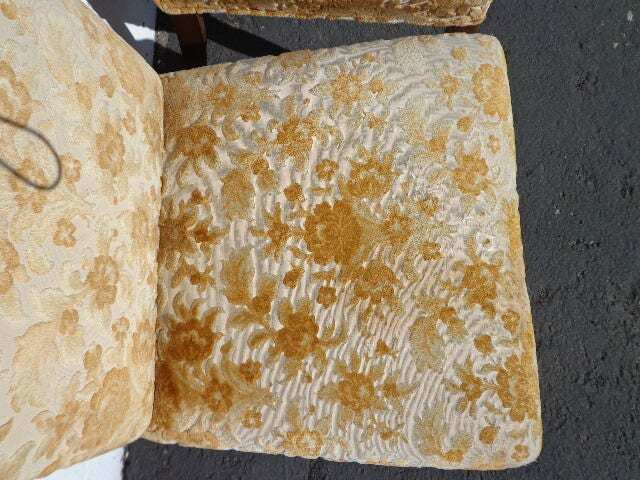 Nice clean line design and covered in a pretty floral, textured textile. 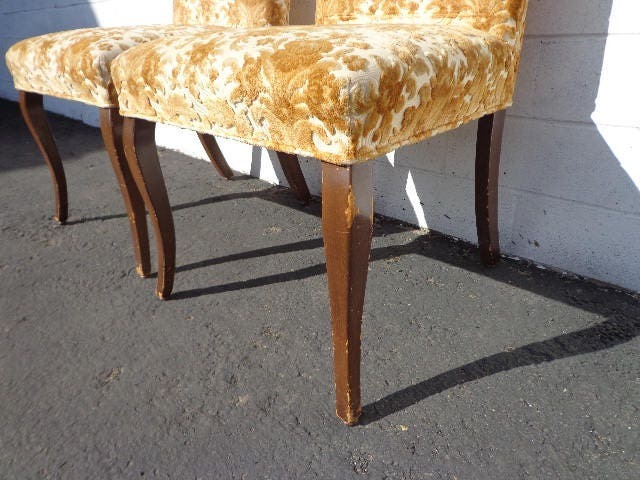 Amazing set to use in a formal or informal setting, dining area, and will add elegance to any area. 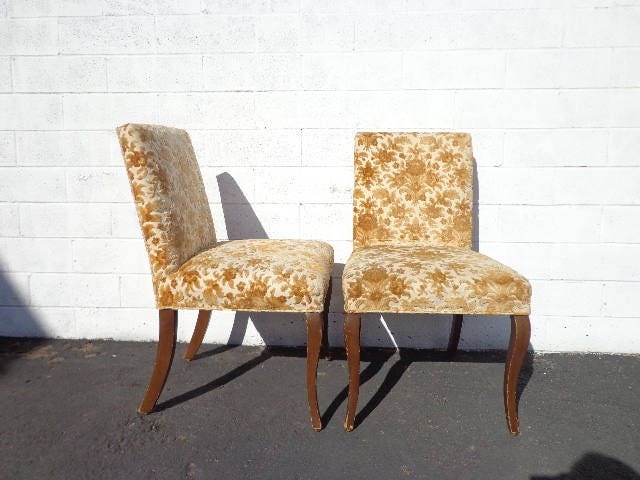 Very well made chairs that are extremely sturdy and solid. 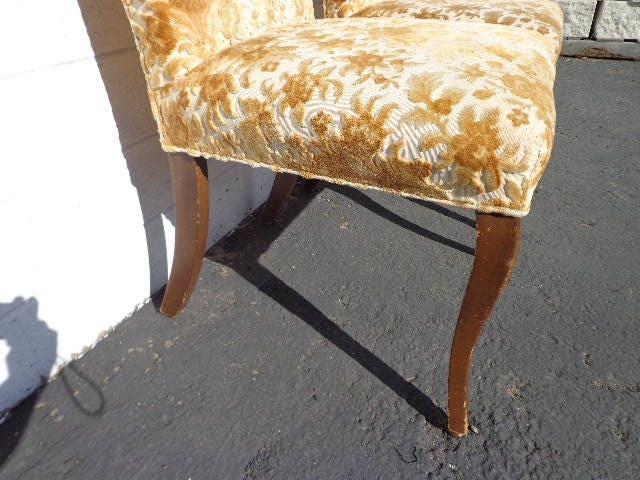 Wood surface shows some wear from use and may need some refinishing. 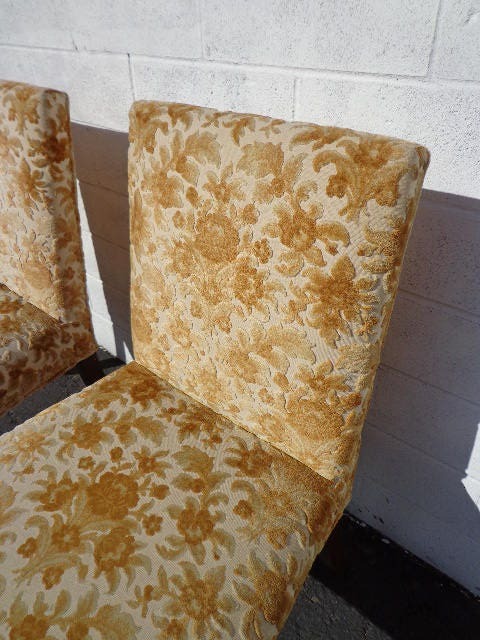 The fabric shows wear that is commensurate with age and use.